Indian Paralympics star Devendra Jhajharia won a gold medal in Javelin throw for a second time, and broke the world record in the process. The winner of Padma Shri, the fourth highest civilian award in India, had a rather tough start in life. Devendra Jhajharia bagged a gold medal in the men’s javelin throw F46 event held on September 13 at the 2016 Rio Paralympics. He has become the first Indian to get two gold medals at Paralympic games. It is the second gold medal he has bagged for India and is the fourth in the overall count for the country’s medals at the games. Jhajharia’s first gold came at 2004 Athens Paralympics with a record throw of 62.15 metres which he improved with an attempt of 63.97 metres at the Olympic Stadium, Engenhao, in Rio on Tuesday. The 36-year-old is currently ranked third in the world. He has been receiving appreciations and congratulations from imminent personalities, including the Indian PM on Twitter. “Congratulations to Devendra Jhajharia for the historic and well-deserved Gold at the #Paralympics. We are very proud of him. #Rio2016,” PM Narendra Modi wrote in a tweet. “#Paralympics is pyaara-lympics. Bow down to #DevendraJhajharia fr d Gold&new World Record.He won Gold in2004as well,” tweeted cricketer Virender Sehwag. Many many congratulations to Devendra Jhajharia. You inspire us all. And the inflow of accolades was in abundance for this Paralympics star who had a rather rough start in life. He hails from a remote village in Churu District of the north-western Indian state, Rajasthan. It is here that as a nine year old boy Devendra lost his left arm to a livewire. Not surrendering to this incident, Jhajharia took up para- athletics at school. He went from a district level champion to state, and in 2002 he went on to win his first gold in the Busan Para-Asian Games, in South Korea. This was also his international debut. He earned his first gold at 2004 Athens Games, at the age of 23, and also silver at the 2014 Incheon Asian Games. He is a recipient of Arjuna Award, the highest Indian accolade given for sports, which he received in 2005 and the Padma Shri, the fourth highest civilian award in India, which he received in 2012; he is the first paralympian to have received the honour. In 2014, Federation of Indian Chambers of Commerce and Industry (FICCI) named him the para-sportsperson of the year. Jhajharia is now employed with the Indian railways and is also a member of the paralympics committee of Rajasthan; he lives in its capital city, Jaipur with his wife and daughter. 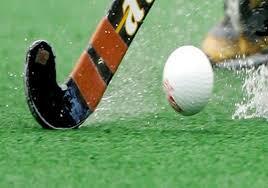 Is grass-hockey in India dying too?